Shenandoah National Park is located in the eastern section of Virginia along the Blue Ridge Mountains. It is considered one of the most popular national parks in the country due to it wondrous beauty. The famous Skyline Drive is a major attraction for many visitors. This 105-mile scenic roadway winds throughout the park providing spectacular view and access to many hiking trails and campgrounds. The park has over 500 miles of hiking trails which includes 101 miles of the Appalachian Trail. The Appalachian Trail runs from Maine to Georgia. The Shenandoah area is understandably one of the most beautiful sections of the Appalachian Trail. The Blue Ridge Mountain area is known for the haze that blankets the mountains and settles in the valleys. Although it sometimes can reduce viewing distances, it can provide for very unique and interesting sights. 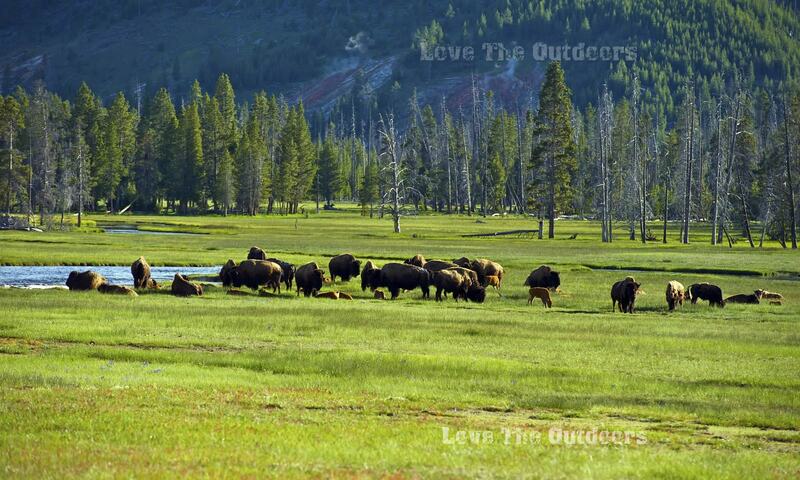 Wildlife can be seen in abundance throughout the park including deer, black bear, wild turkey and many others. A beautiful view at Shenandoah National Park as shown on the SNP websiteThe wilderness is amazing. Hiking is a must when visiting Shenandoah National Park. Trails will take you to the tops of ridges for breathtaking panoramic views, into deep canyons to see extraordinary waterfalls or way back into wilderness country. All trails, with the exception of some of the self guided nature trails, have colored blazes on the trees to help navigate you. Your choice of trails should be considered carefully depending on desired scenery, length, difficulty, trail conditions, popularity and if appropriate for children and present health conditions. Day hiking is very popular. One-way trails lead to a destination and return on the same trail. Loop trails are usually longer but may provide a couple destinations along the way. There are many different trails to choose from. Proper planning and preparation, a true appreciation of nature and the awareness of your surroundings can lead to a very enjoyable hike no matter which one you choose. The park also offers many activities. Ranger programs, educational programs and special events make for an interesting and entertaining outdoor experience. Learn about the history of the park. Learn about the trees, rocks, vegetation and the wildlife. Maybe even attend a campfire. Check with the visitors center for details of these activities, maps, and campground information. Shenandoah National Park is indeed a beautiful place with an abundance of outdoor exploring and learning opportunities. It most definitely should be considered when planning your next outdoor vacation. Visit the Shenandoah National Park website for additional information.